Getting a glowing skin might have seemed a difficult task for you, especially if you had suffered from various skin problems. But the fact is that it is still possible for you to achieve it. You need not spend tons of money and buy expensive products. All you need is to make some changes in your diet and intake of water. So find out what to tat to have healthier skin? Almonds are great for your skin. It keeps your skin well nourished and healthy. It is rich in Vitamin E, which gives your skin a healthy glow. So, include almonds in your daily diet and have beautiful skin. Avocados are wonderful for your skin. They contain good fat that is good for your skin. 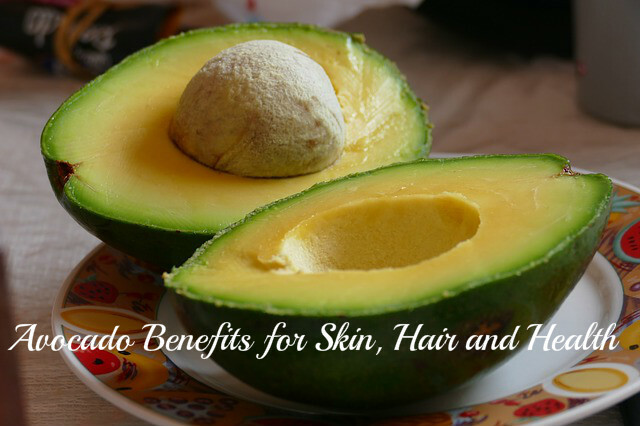 The oils present in avocados help in making your skin glowing. You can have avocados in different ways. You may have it in the raw form, added to salads and also make juice and consume it. Nuts and olive oil are also rich sources of good fat and can be included in your diet. Olive oil is excellent for dry skin. Using coconut oil externally s well as internally helps in keeping your skin clear ad supple. It prevents your skin from getting dry easily in winter. You can use coconut oil in cooking. If you do not like its smell in the food you make, then you can use it externally. Dairy products that are rich in calcium and low in fat are good for your skin. You can have low-fat yogurt, skimmed milk with oats and cereals and so on. These provide your skin a smooth shine and keep your skin healthy and supple. Eggs are rich sources of proteins. They are also rich in biotin and essential vitamin, which help you fight against dry skin. Applying egg topically on your skin is good for keeping your skin well hydrated. Break and egg and separate the white from the yolk. Whip the egg white well and apply it on your face and neck. Wait till it gets dry and then wash with lukewarm water. Flax seeds are high in omega 3. Including flax seeds in your daily diet and keep your skin soft and smooth. Flax seeds are very effective for dry skin. Caffeine is not good for your skin. So, try to avoid caffeine-infused tea and coffee and try herbal drinks instead. Herbal drinks keep your body hydrated and reduce the chances of your skin becoming dry in winter. You can have chamomile tea, herbal tea and jasmine tea. Green tea is also good for your body. It contains antioxidants, which destroy the free radicals in the body and keep your skin healthy and supple. Spinach is loaded with minerals and vitamins. The antioxidants present in spinach help in fighting against various types of skin problems. Spinach also contains phytochemicals and folates, which can keep the skin hydrated and healthy. You may have spinach in salads, topped with olive oil, or you may steam it and consume it. Sauerkraut is a probiotic that you can make at home. Instead of buying expensive probiotic from the market, you can have this. Using sauerkraut as side dish or as salad can help in keeping your skin hydrated and supple. You can add some sugar and fruits to it to make it tastier. Salmon is also excellent for dry skin. 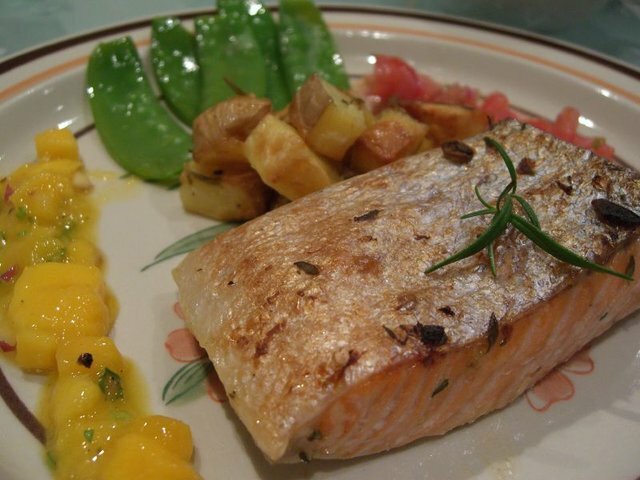 Having salmon regularly helps in reducing the fine lines that appear on your skin, especially on dry skin. It can also increase the elasticity of your skin. Like salmon, there are other fish also that are good for your skin, like herring, sardines and mackerel. They are also good for protecting your skin from damages caused by the sun. You can have fish in the roasted form, and also in grilled or baked form. You must try not to have it deeply-fried. Including whole grain cereals and breads instead of flour products can improve the texture of your skin and keep you healthy. Have meals that contain wheat, like chapattis, pasta, sandwiches and so on. When you eat out, make sure that you consume whole-grain foods. Try to increase the levels of vitamins and minerals in the body by including raw fruits and vegetables in your diet. They help in providing all the necessary nutrients to your skin and also give a glow to your skin. They are great for promoting the production collagen, which helps in keeping your skin supple and firm. This way you will get a young looking skin that is beautiful and radiant. Drink lots of water. This will flush out all toxins from your body and make your skin look glowing and young. Always use a good moisturizer that suits your skin. This will prevent you skin from getting dry. Dry skin is very common and many of you, especially women, suffer from dry skin problems in winter. The solution for dry skin is also simple an easy. You need not run here and there looking for a solution. It lies right in your kitchen. Get the ingredients from your kitchen and include them in your regular diet. You will soon be able to get rid of dry skin and have supple and glowing skin.